This is a very special cricket bat that used to belong to my husband David when he was a child, so its over 30 years old. It was white and the paint was coming off, it was in the back of Pa Murphy's shed. For Christmas Pa restored the cricket bat, painting it and wrapping the handle. 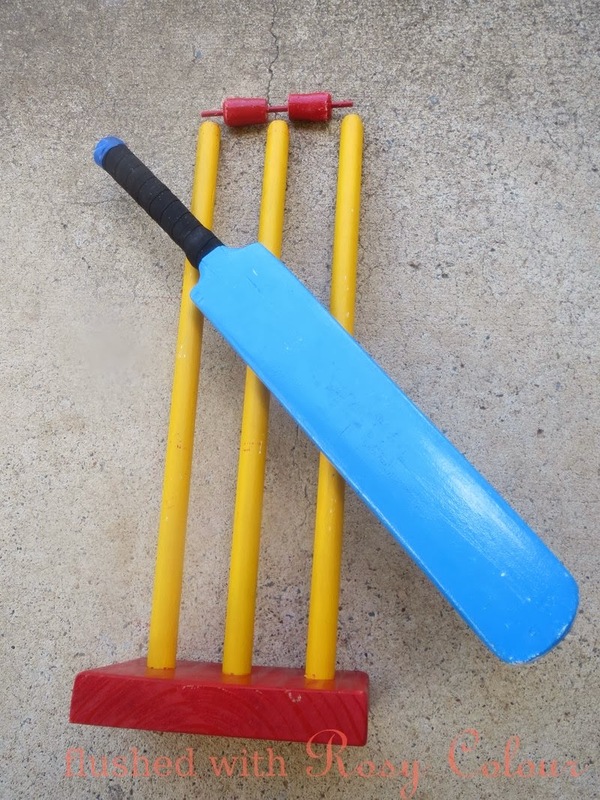 He also made a matching wicket set to give to Thomas! What a special gift! Thomas and I were playing with it just yesterday and I'm sure its something he'll get a lot of use out of.